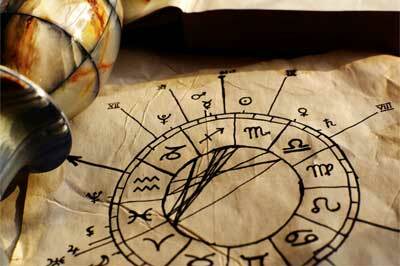 This articles covers everything about horary astrology. But first I need to explain what horary astrology is and why it is used. This type of astrology actually uses signs related to the information that you want to know. Instead of worrying quite as much about the sign you were born under, it considers the sign under which you were first concerned about the question as well as which house most strongly governs the type of question that you are asking. If you’re looking for answers it’s best to ask yes or no questions to get the most clear response, but you will also learn more about the question you asked and how the situation will turn out. If you’re looking to find out more about your life and the things that are going to happen to you in it the best thing you can do is seek out the answers to many of your questions, but do so carefully. It’s actually very important that you don’t ask too many questions at the same time because it can cause confusion or misreading. Instead, ask a question that you feel most strongly about and that you are most focused on. You’ll be able to get a clearer reading that makes sense based on what you want or need to know and what you need to do for the results you want. Once you’ve got your answer you can start making changes to your life, and you can definitely start working towards the advice and answers it gives you. 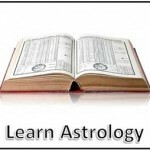 Astrology has long been used by those looking to understand not only the past but their own future as well. It considers the position of the stars and the planets when you were born and helps you to understand, based on this information, more about what’s going to happen throughout the rest of your life. But there’s more to it than just the specific sign you were born under. That sign is going to help you figure out questions about the rest of your life as well, including learning how to plan for the future. This type of astrology is great if you have specific questions you want to know the answer to. Your sign can give you more information about you, your personality and the things that will happen in your life but they are very general and you likely won’t find everything you really want to know. The best thing you can do is seek out horary astrology to learn more in depth information about yourself and those specific questions. It’s more unique to you than traditional astrology. If you’re not sure about the question you should ask take a few minutes to think quietly. What comes to your mind first? 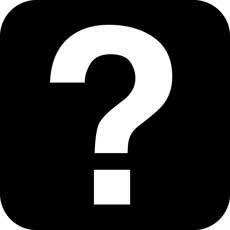 What is the strongest question in your mind? That’s the one you want to work with first because it’s the one thing that’s most pressing and important to you. By working on understanding it first you’ll be prepared for anything that comes your way. Once you’ve gotten the answer to this question then you can think about the next thing you want to know and how it’s going to affect you. You may be surprised what you’re really most concerned about when it comes right down to it. How does horary astrology work? Will I move house within the next year? Horary astrologers will answer this question with a yes or no, then backup their answer with some reasoning as to why. For example the astrologer may see something in your chart that is likely to prevent you moving such as an illness, or money troubles. This may have been a reason why they said no to your house moving question. The person asking the question (the querent), is usually represented by the ruler of the sign the first house cusp falls on in the horoscope. The question must be assigned a house. For example a home related question would be assigned to house 4. Then an astrologer would pay particular attention to the planet ruler of that house being the moon. There are many other rules regarding horary astrology and can become rather complex. Some other factors considered in horary astrology are aspects, plantary positions and arabic parts. Predictive astrology. How is it done?